2077 - Photo: Ian Johns. 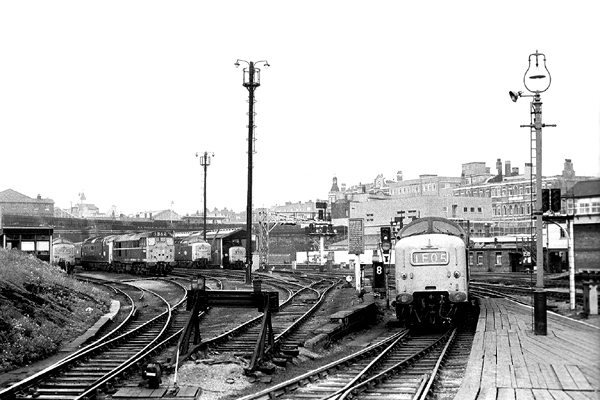 Not often seen from this angle King's Cross Loco is viewed from Metropolitan lines during July 1970. Five Deltics are seen and although non are identifiable four, from left to right, have arrived via 1E01 08:00 form Edinburgh, 1A21 11:50 from Bradford, 1A22 11:00 from Newcastle and nearest the camera 1E05 10:00 from Edinburgh, the "Flying Scotsman".